Voice your opinion! Review All Colour Envelopes now. Next day delivery, low prices , pleasant staff and more and more. Do not hesitate, finish your job with their service. 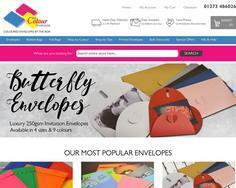 Is All Colour Envelopes your company?